I first read The Noctuary more than five years ago, so I was happy that Greg Chapman decided to incorporate the original novella in this new, longer, work based on his own source material. It all starts when writer, Simon Ryan, begins conversing with his muse who reveals himself as Meknok, the thing in his dreams. Meknok offers Simon a rather unique opportunity. To rewrite his own history. Wow. What a concept? How many of us would love to put pen to paper and thereby change our lives for the better? More money, a better job, a more loving companion. Sounds simple, but the reality is so much more complex. In Pandemonium Simon Ryan has gone missing until one day a manuscript, purportedly written by the awol writer, shows up at the office of his former Psychiatrist, Dr. Desmond Carter. As a result, the Doctor's life is about to change, and not for the better, as all hell breaks loose. 3 - Not capitalized : a wild uproar : tumult Pandemonium erupted in the courtroom when the verdict was announced. After reading The Noctuary: Pandemonium it seems as if Chapman managed to roll all three of those definitions into one. If you're tired of the same old horror story be sure to add this one to your watchlist. The Noctuary: Pandemonium is available in both paperback and for the Kindle. if you subscribe to Kindle Unlimited you may read it at no additional charge and if you're an Amazon Prime member you can read Hollow House for FREE through the Kindle Owners Lending Library. 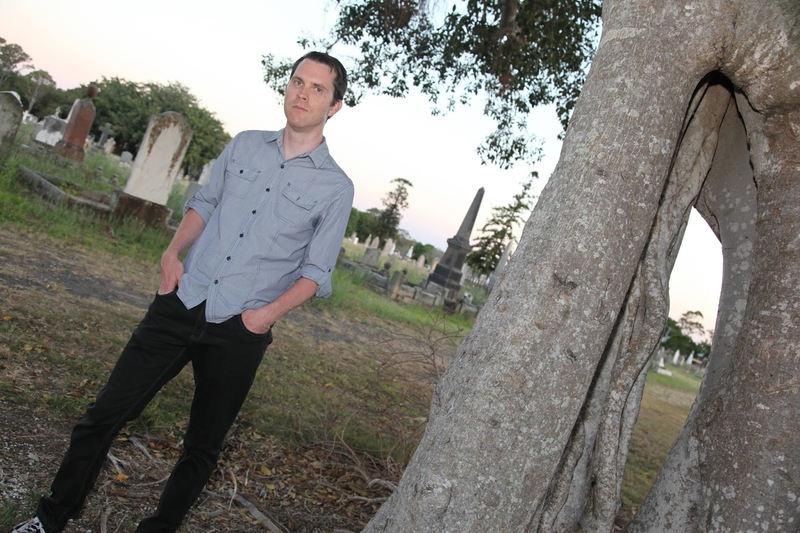 From the author's bio - Greg Chapman is the Bram Stoker Award-nominated® and Australian Shadows Award-nominated author of Hollow House and the author of five novellas. 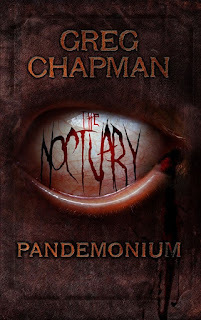 The Noctuary: Pandemonium is his second novel. Guest post: Greg Chapman: A few words on "Words"
Words have real power over me. My life is defined by them. Every day I write hundreds of words; not all of them are fiction (I work in public relations for a university), but I know how they can have an incredible amount of power over people’s perceptions of reality. Think about how many thousands of words you are exposed to each day; by reading the newspaper, or scrolling through social media. The impact they can have upon your mental state is astounding. A half a dozen simple words can cheer you up or infuriate you. What about a 600-year-old Constitution, or a Bible? Do they confine or release you? The only thing for certain is that words define us all. My latest novel, Pandemonium, the sequel to my 2011 novella, The Noctuary, is about the power of words, in particular, the words penned by one of the characters, an author named Simon Ryan. Ryan is a “dark scribe”, a soul chosen by a group of Dark Muses, to rewrite human lives to fulfill the Muses need to damn every living soul. When I started to write Pandemonium I knew I wanted to push the boundaries of my original story and explore the very nature of words and how they can corrupt. All religion and philosophy is rooted in words and myth, with people first telling each other stories in darkened caves tens of thousands of years ago. Language and story are what separates us from all other species, but where did language come from? This idea – and the philosophy of “good and evil” has always fascinated me. What if language was the root of all evil, or allowed us to “comprehend” the darkness within ourselves? This is all deep psychological stuff, hence the decision to make the central character in Pandemonium a psychiatrist. Through Dr. Desmond Carter – the psychiatrist who first treated Simon’s psychological scars – I explore these notions and retell The Noctuary all over again. If you could retell your story, would you? If you could right a wrong, or undo a tragedy with the flick of a pen, would you? If you looked deep within yourself what would you find there? How much darkness might you find there? Where did it come from? Even now, as you read these words, you are asking yourself these questions, influencing your thoughts. What power do words have over you? From the author's bio - Greg Chapman is the Bram Stoker Award-nominated® and Australian Shadows Award-nominated author of Hollow House and the author of five novellas. His second novel, The Noctuary: Pandemonium, the sequel to his acclaimed 2011 novella, will be published by Bloodshot Books in late 2017. There are some writers I wish were getting more attention. Writers who have paid their dues and put out quality work, again and again, but still seem to remain in the background, underappreciated. Robert Ford is one such writer. Last year he published a novella called The Last Firefly of Summer, a bittersweet "story of first love, true love, the love where you would do absolutely anything for the other person. Anything." One of my favorite novellas of 2016. This year he offers up something completely different, as he returns to the world of Samson Gallows featured in his 2012 novella, Samson and Denial. In Ring of Fire, Robert starts with an eloquent, if profanity laced, rant against infomercials, the medical industry, the media, and Gatlin, KY. Not for the easily offended. One guy smoked up and dragged his wife down to the train tracks, behind his farmhouse. Tied her up right to the rails, Dudley Do Right style. 'Course the train through Calverton stopped running years ago. She spent the night getting bit by skeeters and when morning came she had some awful rope burns and looked like she had a bad case of the measles but was otherwise all right. If you're looking for a rip-snortin' good time, pick up this quick read and follow the misadventures of one man just trying to get through a very bad day. I hustled into the drive and passed the first brown trailer on my left. That's where the landlord, Betsy Aus, presided–and believe you me, she was some piece of work. Late sixties and gardening braless in a tank top every afternoon when it was warm out. Shorts cut to high heaven and her body the shape and condition of an overcooked apple dumpling. Gravity had certainly had a battle with Betsy's body and won. It appeared as if two ferrets were sleeping inside her tank top. Ring of Fire is difficult to pigeonhole into a specific genre but funny as hell and a damn good time. My only complaint is the story was way too short. I would have loved to have read more. 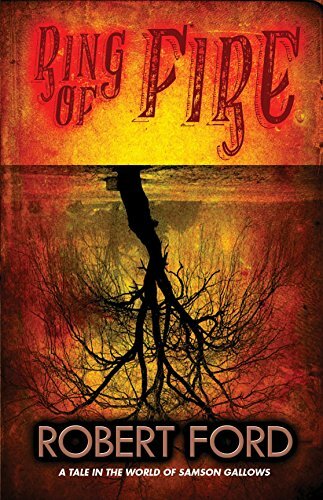 At the end of Ring of Fire there's an excerpt from The Last Firefly of Summer, I recommend you skip the excerpt and go buy that novella as well. Although decidedly different I believe you'll enjoy both of these works from Robert Ford, a name worth remembering. Ring of Fire is available in both paperback and for the Kindle. 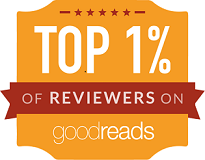 If you subscribe to Kindle Unlimited you can read it at no additional charge. Also, if you are an Amazon Prime member you can read it for FREE using the Kindle Owners Lending Library. From the author's bio - Robert Ford writes stories that are always focused on the characters, first and foremost. Anything else just happens to be happening. "If I can write a story that makes the reader feel—laugh, or cry, or get angry or upset—if I can write an engaging story that involves the reader and hits them emotionally, then, and only then, have I done my job." Previous works include The Last Firefly of Summer, The Compound, and Samson and Denial. Robert currently lives in central Pennsylvania. Twin sisters, Michelle Garza & Melissa Lason made quite a splash last year with their novel, Mayan Blue. Now, the Sisters of Slaughter, as they are collective known, are back with a new novel called Those Who Follow. Celia is a bit of a vagabond who is known to lose a day or a few days here and there thanks to her flask and the assortment of pills which were her constant companions. Scrambling from her hiding spot, she fled, cursing her limbs that seemed atrophied with fear. A walking nightmare came bearing down on her with ungodly speed. The sound of the massive hound's paws tearing the dusty earth beneath it was second only to the thunderous pounding of her pulse in her ears. The distance was closed in a matter of seconds and, as it leapt, she was flooded with defeat. She awoke a captive in a church with a number of other women, each with a number carved into their forehead representing the year they were taken, the oldest was sixty-eight, Celia was fourteen. Miles and worlds away lies Casey who is in an asylum and awakens with the number fourteen engraved on her forehead. What does it all mean, who is the mysterious man who would be god holding these women captive in an abandoned church? Those Who Follow features other dimensions and the ability to travel from one to another. It also has one of the most bloodthirsty, villainous characters I've seen in quite some time. It took me a bit to really embrace the story the sisters of slaughter were presenting here, but once I got up to speed I totally enjoyed the ride. 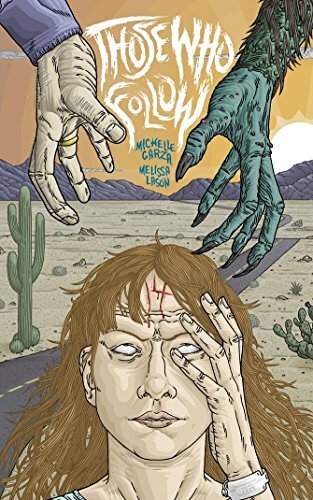 A dark, violent, and challenging tale which horror fans are sure to embrace. Those Who Follow is available in both paperback and e-book formats from Bloodshot Books. If you subscribe to Kindle Unlimited you can read it at no additional charge. Also, if you are an Amazon Prime member you can read it for FREE using the Kindle Owners Lending Library. 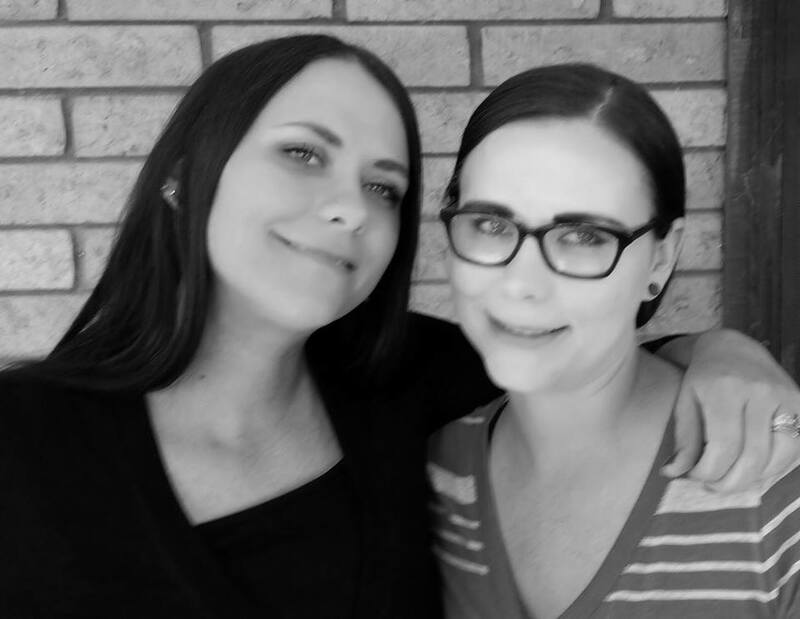 From the authors' bio - Michelle Garza and Melissa Lason.are twin sisters from Arizona. They have been dubbed The Sisters of Slaughter. They write horror, science fiction, and dark fantasy.